How Will Your Business Run Under President Trump? NOTE: This is not a political statement; I don't do politics. I do business. It's taken me a few weeks to figure out how to address the subject of the election and its impact on small business. There really isn't a reason, except I wanted most of the furor and angst over the election results to resolve into resignation and getting back to business. There is so much uncertainty with the incoming administration. But that's common, regardless of who is elected, no matter the country. Each person filling the top role in a country's government has their own take on how their government will run; whether or not it actually happens is a different story. Each small business will need to meet the needs of its customer. When a client signs on with your business, you'll need to be careful to make sure you're actually doing what they hired you for. Marketing will be critical. Just because you build your business, doesn't mean they're going to come unless you market your company. Social media, email marketing, content marketing and storytelling are all integral to your success under the new president. You'll need to know what you're doing. Businesses who slide through and are barely competent won't last more than a year, at most. So make sure you're doing what you say you're going to do and do it well. Your customer service will need to be stellar. Your customers will expect to be treated like they're paying you to do your job. I know it might feel unreasonable, but it's the way it is. You might think I'm doing this tongue-in-cheek and you'd be right. Going into business for yourself is risky. Being a freelancer or a small business owner puts your entire life on the line. It won't change, no matter who is president, who is in Congress. The biggest threat to your business is what it's always been - you. How you run your business will have a bigger impact on whether or not your clients return and whether or not you're successful than anything the federal government can do, regardless of who is president. The bottom line - do your very best to do what you're best at - running your business. We all want to see ourselves as leaders, especially when we're in the position of overseeing the work of others. 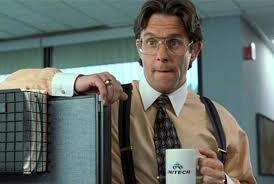 Few of us want to be "managers," especially "micro managers." So how can we become the leaders we want to be? Easy - relax. Well, maybe not so easy. There's one thing that turns leaders into managers - fear. When you're working toward being a promotion, you're working hard, trying to impress and you're only concerned about doing your very best. Then, the day comes - you've been promoted. Now, instead of focusing on how to be your best, you start being afraid. Afraid of being found out that you're not as good as they think you are. Afraid you won't measure up. Afraid you'll lose your position and end up going backward. The problem is, when you're afraid of losing your job, you start holding on too tightly, and that impacts those who now report to you. Instead of building a team, you start holding onto every element of the work your team produces. You start to worry that no one else can do the tasks as well as you, so you hold onto everything. That lack of trust leads to you becoming overwhelmed by the amount of work you have on your plate and your team has only busy-work to do. Lack of trust is a two-way street. Once you stop trusting that anyone else can do the job as well as you, you start suspecting others of being "out to get you." And your team feels they can't trust you, because you're so secretive and spend too much time dictating every moment of their work day. The best thing you can do to become a leader is relax and trust. You were put over a team because those above you trusted your ability to get the job done. You must have the same trust in your team. Will some let you down? Certainly. But the majority won't. The majority of your team members come into work every day like you do - ready to conquer the world and do the best job they can. Your team members might not accomplish the job the same way you would, but then again, you didn't do things the exact way your former leader did. The only thing that matters is whether the task is completed and completed well. The "how" doesn't matter. Delegate. Stop holding everything so tightly to your chest. You can't do everything yourself, so trusting your team to do their jobs well will not only relieve some of your stress, but will dignify your team members, showing them the trust they deserve. Get out from behind your desk. A football coach doesn't coach from an office. He leads his team from the same bench as his players. He stands among them, speaks with them, encourages them. The more you put yourself in the middle of your team, the more you start working together and the more they become YOUR team, not your employees. Reward the 80% who do their jobs without notice. You might think, "well, they're just doing their job; they get paid to do their jobs." Yes. Yes, they are. But that's to be celebrated. It's a truth that leaders and managers spend 80% of their time with the 20% not doing their jobs. So why not celebrate the majority who ARE doing their jobs? It doesn't cost a lot to do it, either. Give someone half a day off for no reason. Randomly hand out $10 gift cards to a local fast food restaurant or movie theater. Give out a certificate for employee of the moment and make a deal out of it. Bring in donuts or lunch for the team. Spend more time praising extra effort than criticizing doing things the wrong way. Face it - you don't possess 100% of the knowledge of how to do things. There might be someone on your team going the extra mile to innovate. Praise them! Encourage others to do the same! Just because someone has a new idea doesn't mean they're going to take your job away. The more you focus on building your team than you do holding tightly to what's yours, the more you realize you've become a leader. You'll build trust, loyalty and teamwork. The morale of your team will increase, your turnover will go down and the productivity of you and your team will skyrocket. The world has more than enough managers - be the leader you want to be. Are you a manager or a leader? The answer to that question will mean the difference between being stagnant in your career or being on an upward track. The word "manager," according to the Merriam-Webster Dictionary is "someone who is in charge of a business, department, etc. ; someone who directs the training and performance of a team." A "leader" is "a person who leads or commands a group, organization or team." On the surface, they appear the same, but really look at the words. Describing one as "in charge" and the other as "leads" makes all the difference. You don't have to be in charge to be a leader and being a manager doesn't automatically make you a leader. Do you constantly have to nag and cajole your employees to get anything done or are they a self-sufficient team that knows what to do and gets it done? 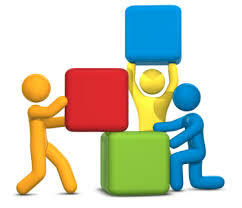 Do you feel comfortable delegating or do you feel no one can do things as well as you can, so you do it all yourself? 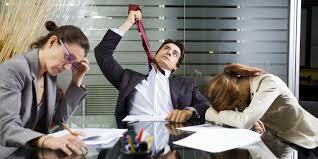 Do you talk with your employees only when scheduled or do you know what's going on with each of your team members? What's your reaction to problems? Do you look at who's to blame or are you working toward a solution and resolution? Did you spot the differences? It's all about mindset. A manager has employees; a leader has team members. A leader easily delegates, knowing it doesn't matter how the job gets done, as long as it gets done; a manager is worried that no one can do it as well as he/she can do it. A leader is in the middle of the team, in good times and bad, digging in and getting things done as part of the team; a manager stands above the fray, separate and above the employees. Why does this matter? A leader, regardless of their job title, will be respected and is more apt to engender respect and loyalty. A manager is feared and employees are less likely to feel tied to either the manager or the company for which they work. If you find that you're a manager and not a leader, there's hope. You can change and build your employees into a team, but you'll have to take some drastic steps. You have to be teachable, coachable. And you have to be willing to change. NOTE: Today's column comes with a warning. I'm writing this while angry, so it might be a little longer than normal. Hopefully, you will be angry, too, when you're done reading this. Bullying and intimidation - regardless the venue - are unacceptable, so stop tolerating it. An adult bully who makes you feel you're "less than" if you don't pay them money, is no different from the kid on the playground who takes your lunch money so you can avoid getting punched. An adult bully who flames you on social media because your opinion doesn't agree with theirs, is no different than the kid who shoves someone smaller into their locker. Being insulting and demeaning is NOT "keeping it real." Call it what it is - bullying. YOU CAN take control of what you're doing and make your life better. It's in your hands. Don't let anyone make you feel "less than" just because they're loud and insulting. To make real, definable change to be better, you need a coach or mentor. You can't make big change in a vacuum, by yourself. Every successful sports star, singer and business person has a coach, someone who has your best interests at heart, wants you to succeed and will walk with you through the process of getting there. YOU definitely have everything you need within you to succeed. You just need someone to bring your talents to the forefront. 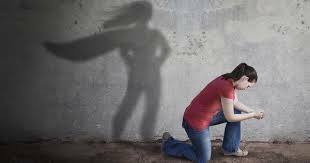 The question is - do you want someone to help you who is on your side or someone who bullies you into it? Which will bring long-term, sustainable, beneficial change? You're too smart and too good at what you do to let yourself be bullied into paying for air; don't get sucked in by the emotional attack on your self-worth. There's a trend becoming more common, especially here in the United States - bullies masquerading as "experts." I spent the day yesterday in the company of just such a person and it was a fascinating exercise in business psychology, at least the way it's being played out today. Unfortunately, I don't take well or kindly to bullies; I stayed because it was fascinating to watch the psychology of the words being used and the reactions of those listening. I won't be mentioning the name of the speaker, because the methods he uses are not much different from those used at most "platform sales" events; I'll get into that more in a bit. Yesterday's event was marketed in two ways, which, in itself, made an interesting study in business psychology. It was marketed to women specifically saying they were looking for the next big woman speaker; women's empowerment and the message that more women were needed in this male-dominated industry were the key messages. The marketing to men was less subtle - Ferraris, beautiful women, fast boats and other luxuries were featured, drawing men in with the promise that you'll make millions in a short period of time just by becoming a public speaker. It was a free event and in both marketing campaigns, it was said that the next big mega speaker would be chosen from the event. Four speakers were put in front of the group, which started with 120 people; by the end, there were about 35 left. Three of the four talked about how they were able to make millions by following the methods taught at this day-long workshop and by following the main speaker. 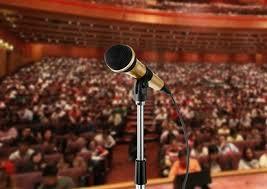 The three incidental speakers told the group they were experts because they made millions. But they also talked about how tired they were, they aren't sure from day to day which city they're in and they spend as much time on the road as they do at home. The three all talked about how the main speaker we'd see throughout the day was THE expert in training and promoting speakers and we needed to listen to him or we were losers. Do those things make him an expert? They make him an expert at marketing himself. They make him an expert at being able to convince people to give him money and because he gets people to give him money for doing nothing other than being himself, yes, he's an expert. And yes, he's made a ton of money. Not coincidentally, their proof of him as an expert was the entire substance of his presentation - all these pictures of him with celebrities and all his things, interviews with the same celebrities saying why they like him (which, by the way, you can get for a few hundred thousand dollars) and continuous mentions of how ridiculously rich he is. Telling the audience they were losers and will remain losers if they don't fork over tens of thousands of dollars to spend a few days with him at his house was only the beginning. Then, he started insulting people. Loudly. In front of the entire group. He insulted women as a group. He insulted African American women, specifically and directly, over and over. He insulted Hispanics, saying they weren't interested in building their businesses, unless they were into multilevel marketing businesses, because it's all about selling to one's family. Saying he was an expert at reading people, he singled out those he felt were easy targets to "read" to the group, telling them they were incapable of being successful in business for one reason or another. He argued with those who disagreed with him, saying they obviously weren't successful because they didn't have the celebrity endorsements, the money and the "things" he has. He even singled out a younger African American gentleman, repeatedly calling him "Brothuh," telling him he would never be successful unless he lost the earring and changed his attitude. When the gentleman told him to stop calling him "Brothuh" because his name was (fill in the blanks), the speaker proceeded to become offended and say he was intimately familiar with the "black" experience because he spends so much time in South Africa and then showed pictures of him with the Vice President of South Africa, a South African billionaire and then pictures of himself in several hospitals he says he funds. All of this happened before lunch. I half expected someone to rise up out of the crowd and beat this guy senseless. Instead, most left during the lunch break. The rest of the day was filled with more of the same - insulting, demagoguery, bombastic BS, all continuing to tell us that he's an expert because he makes more money than any of us or all of us put together, so we HAVE to listen to him. The sales pitch was woven throughout the day, in every sentence, in every claim - pay me money and I'll make you rich. What's interesting, though - and this was the clincher for me - with all the pictures of clients on stage with this celebrity or that celebrity, the people who had paid the money and gone through the program who attended yesterday's event weren't any more successful than they would have been on their own, given a little more time. They weren't making millions; at most, they were making a few hundred thousand dollars where they would have made one hundred thousand. They were held up as examples of the success of the program, people who had followed everything this guy gave them and were exclaimed as "successful," yet they still weren't "world famous" public speakers - one of the claimed results of paying all this money - and they weren't "living the dream." I asked one person who has attended many of this guy's events what he's gotten out of it. He said, "Well, I got some marketing ideas, but nothing that really applies to my business. And none of them really helped me build anything lasting." No doubt, those putting on seminars like yesterday's will read this and say I'm a loser, because I didn't fall for it. They'll say it's all sour grapes because I wasn't accepted into the program; I wasn't accepted because I wasn't willing to pay between $50,000 and $25,000 for a handshake with a celebrity and 15 minutes on stage - if I was going to spend that kind of money, it would be my stage and my message, not someone else's. Are these guys successful? No question. Are they experts? Yes - at marketing themselves and blowing their own horns, for which some will feel compelled to pay money. Did I learn things? You can always glean good information out of any situation, if you're really listening. Are they ethical and looking to really help people be successful? Absolutely not. If you have to use intimidation and bullying tactics, insults and bombasity under the cover of "being real," you're a bully, a fake and a fraud. I don't care what your message is. I'm a coach. I work internationally. I won't yell at you. I won't insult you. But I will tell you what's going right, what needs fixing, and work out a game plan with you, in an open, honest way that preserves your dignity and actually helps you move toward your goal. And I won't charge you a zillion dollars to do it. Seven Extra Hours A Day: It's Possible! Seven extra hours a day - what would you do if you had that much time left over every day? Would you play with your kids? Spend time with your significant other? Perhaps get away from work for a few hours? Imagine all the things you could do if you just had more time every day. I've figured it out - a way to get done everything that needs to be accomplished every day, be less stressed and still have been able to exercise, read and build your relationships. One client I've used as a guinea pig for the process first said it was awesome and then called BS; no way could this be done. But, in reality, it's all a matter of perspective and scheduling. This isn't just another time management scheme. It really works. And yes, it takes some hard work at first, but once you get into the groove, you'll find this method becomes second nature. If you skip a day, you feel almost cut adrift, so you're back to it as quickly as you can. It does work. I've been using it for the last few months just to prove to myself that it works and, indeed, it does. The key is time blocking - blocking out specific times of day to do specific things, in a specific order. So, grab your calendar and I'll give you a brief overview of how it works (and keep reading for more info on how to attend one of my new webinars to get the complete program). Time blocking is an easy, simple way to make sure the most important things are taken care of every day, through blocking out time for the most important areas of your life, letting everything else flow around those blocks. "I'm great at multi-tasking." It's something we always tell ourselves, that we can multitask like nobody's business. Over the last week, I've even seen it used on resumes - "I'm a great multi-tasker." The truth is, there is no such thing as multi-tasking; our brains are subconscious multi-taskers, letting you breathe, blink, swallow and walk without conscious thought. Our conscious brains are dummies - they can only focus on one thing at a time and do it well. Multi-tasking is really switching rapidly between several things, without letting your brain settle on any one thing long enough to pay attention to it. So stop trying to be great at multi-tasking and, instead, focus on one thing at a time, do it well and move on. "I'm looking for work-life balance." We are all given one life. With it, we work, we love, we learn and we exist. What we're looking for is not balance between one life and another, but balancing all parts of our life and not each part has equal weight, so why are we trying to balance them? Most would say their family is the biggest part of their lives, but by their actions - working too much, being distracted by business, allowing other things to come before family - they're showing the truth of their beliefs. What are the eight most important things you need to do each day? What's distracting you from being able to take care of those things? If the same inconsequential distractions consistently take you away from what you THINK is most important, recognize where you're fooling yourself - by your actions, you PROVE what is most important to you. And if you're worried you'll lose a job or a client because you're taking care of what truly is most important to you, they're the wrong ones for you. Or you need to come to grips with what REALLY is important to you. Look at the number "8." It's two perfectly balanced circles, one on top of another. Turn it on its side, and it becomes the symbol for infinity - a perfect, never-ending balance. Blocking out time each day, for the eight most important areas of life will bring your life into balance, meaning everything gets done, when it's supposed to be done, in order and on time, with less stress and more time left over. It even allows you to get eight hours sleep, enjoy meals with family and friends and occasionally pick the kids up from school! Sounds simple, doesn't it? But there's much more to it. It's striking a balance between each of the eight blocks and ensuring you're doing them consistently, in order. I'm putting together some webinars in the next few weeks to show you how to take these eight time blocks and make them part of your daily routine, leading to more time, less stress and a happier life. The webinars will be FREE to regular subscribers to my newsletter, so sign up now to be the first to know when the webinars are available and to get your discount code. Remember - only regular subscribers to my newsletter will get the discount code and be able to attend free, so sign up today! If you've been in business, worked in business, been around business or know someone who has, you know the deadliest thing in the business world is The Meeting. There's nothing worse than looking at your calendar and seeing back-to-back meetings, all of which take time away from doing your job and generally accomplish nothing. A company in Atlanta was doing over $100 million in revenue annually. They had employees on several continents. Their C-suite staff, including their Director of Operations, Director of Human Resources and Director of Finance, were located in the corporate office. Under Operations, there were six regional managers, each of whom oversaw five team leaders, who had 25 employees under each; the other directors had similar hierarchies. Got the picture? Each day, everyone, from the President to the team leaders, spent a minimum of four hours in mandatory meetings. Most of those meetings were spent rehashing the same things discussed at several other meetings throughout the week. You can imagine the results. Turnover increased at all levels because there were no leaders available to lead teams, so no engagement. Middle managers were being torn in several different directions because of being given assignments outside their normal day-to-day activities at each meeting, so their "regular" work was never touched. Upper management was frustrated because it felt as if nothing was getting done. Soon, their turnover rate corporate wide as over 30-percent. This scenario is being played out every day across the country. The Meeting, especially the Weekly Status Meeting, started out as a good idea, but is now outdated, overdone and overblown, creating havoc in the lives of everyone involved. Automatic Weekly Status Meetings. Watch what happens at your next weekly status meeting. Everyone says the same thing they said the week before and nothing changes. Getting a team together every Monday morning (or any other day) to rehash the same things is counterproductive and demeans the team. These weekly status meetings become a way for managers to prove to their bosses that they're on top of things and to those they manage that they're the boss. Solution: Institute other means of ensuring everyone knows what's going on - through project management software that allows team members to enter their status daily and share notes with the team. No additional email and only those who really need to know what's going on can access the information. "Everybody in the deep end of the pool" Meetings. These meetings usually consist of bringing EVERYONE within earshot or email shot into a conference room or on a conference line to listen to information that only applies to one or two people or departments. Those attending for whom the information has no meaning are not only bored, but they aren't able to get their normal tasks done because time is being wasted listening to irrelevant information. Solution: Only invite people to meetings who REALLY need to be there. Meetings should not be held to CYA (cover your a*&); inviting your entire team to a meeting with your boss so you can prove you're doing your job (which you aren't if you're holding all these meetings) will only frustrate your team and make them look bad, and will make you look bad in the eyes of your team. Disguised Disciplinary Meetings. Please, PLEASE do not call a meeting with your entire team to disciple one or two employees. Managers are sometimes reluctant to call employees into their office to deal with an issue because they "hate confrontation." So don't be confrontational! Just pull on your grown-up pants and deal with the situation directly. Calling everyone on the team into a meeting just to indirectly address an issue caused by one or two demeans the entire team, and those you're trying to address won't get the point because, typically, they think they're doing ok. The only ones who will get the point are the ones already doing well and this kind of meeting just drags them down. Solution: Just be direct and honest with your team members. Hate confrontation? As mentioned - don't be confrontational! You are the one your team and your company are looking to to make sure things are running smoothly. If one or two people are causing an issue, deal with it. You're doing your team no favors by pussyfooting around and avoiding dealing with it. Feel like you're not equipped to deal with a disciplinary situation? Ask someone in HR to be in the meeting with you. Better yet, grab a copy of my book, "Motivating Feedback: Getting the Most From Your Employees Without Tears," available here. Too many meetings can kill your team's momentum faster than a brick wall. Stop the madness, stop the meetings and grow. Every company, regardless the size (and yes, freelancers, you are a "company"), needs a strategic plan. The problem is, not everyone knows what a strategic plan is and the difference between a STRATEGIC plan and a BUSINESS plan. Let's see how knowing the difference and regularly focusing on your strategic plan can help grow your business. 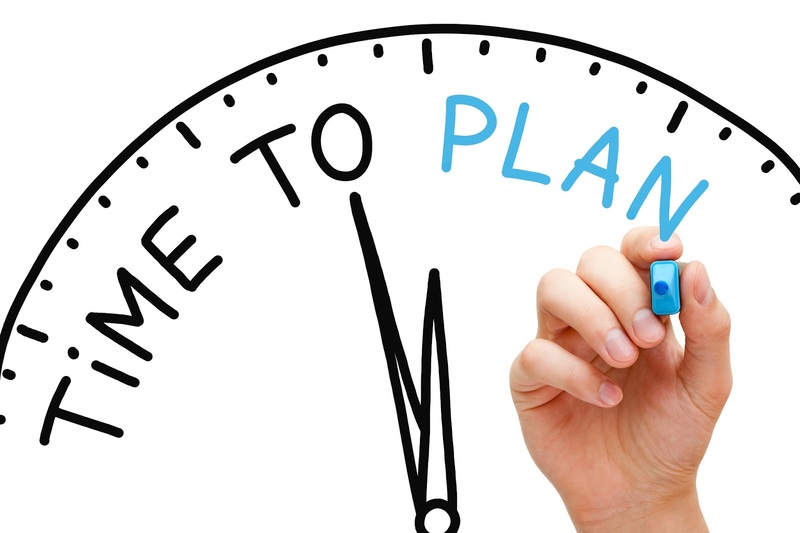 What is a "strategic plan?" A strategic plan is the direction you're company's going in, setting the stage for making decisions on where your resources (money, time, people) go to follow that direction. It also covers the processes by which you're going to reach your long-term goals. Your strategic plan is for you and those with whom you work, a logical progression of where you are now to where you want to be and how you'll get there. A business plan is mainly written to give others an idea of your business. It's a written document describing how you're going to reach your goals. It's written from the standpoint of how you're going to market your company, your financial status and goals and how your company operates. Companies should have both a strategic plan and a business plan, but strategy needs to come first. Strengths: This can be harder than you think; harder, sometimes, than outlining your weaknesses. What are the top five things you're best at? What are the things you bring to the table no one else does, the reasons why someone would hire you and your company over another company? In some cases, your strengths may be a background in marketing, strong technical skills or even that you can talk to Eskimos into buying ice. Come up with five. Weaknesses: Where do you need to build your knowledge base or your team? Maybe accounting and bookkeeping or marketing/sales are not your strong suits; list those here. Are you understaffed? That could be a weakness. How does your business handle follow-through? Do you have business processes in place for onboarding new clients or making sure contracts are sent and signed by both parties? What's your sales channel? List the top five areas you need to improve here. Keep it to only five, because you'll be looking at this strategic plan on a regular basis; there's plenty of time to add more. Opportunities: You wouldn't be in business unless you have an idea of clients or prospects. Where is your "low-hanging fruit" - clients ready to sign on the dotted line? Are there opportunities to participate in a trade show or conference? What about putting up a table at a local festival or show? All those are opportunities, chances to get new clients, grow your business and get in front of prospects. Write down five. Threats: What are the internal and external threats to your success? Do you lack confidence? Is the economy in a rough spot for your industry? How strong are your competitors? Don't have a contract yet? List all the internal and external threats to taking advantage of your opportunities. These are things you need to be on the lookout for, or things you need to change, not reasons for staying stuck. Some will look at the threats to success and say, "Well, it's impossible to succeed so I'll just not even try." This, instead, is an opportunity to acknowledge the threat and beat it. You've looked at and analyzed your strengths, weaknesses, opportunities and threats. What's next? Don't keep it to yourself! Share your SWOT analysis with two or three of your most trusted business advisors - your business coach, your accountant, someone else in your life you admire who has insight into your strengths and weaknesses. These people can form your personal "board of directors," and can help you come up with ways to build on your strengths, mitigate your weaknesses and overcome your threats. 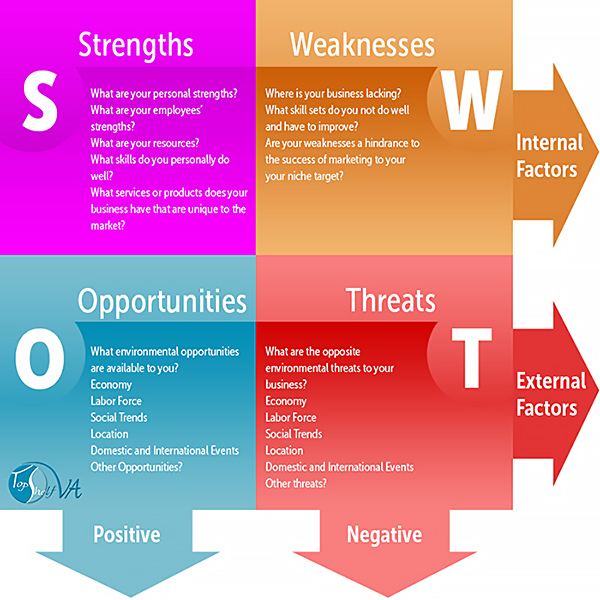 Doing a SWOT analysis isn't a one-time thing. Things change and so do you and your business. A quarterly SWOT review, at a minimum, means you're constantly in touch with the things you're doing well and the things that still need improvement. New threats and new opportunities always pop up and a regular SWOT review will help you stay on top of it. 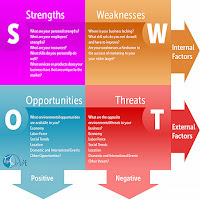 Are you ready for a SWOT analysis? Your business coach is the perfect person to work with you on it. Don't have a business coach? That's why I'm here! Let me know how I can help.